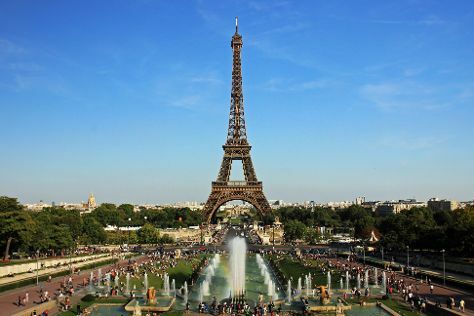 Paris is known for sightseeing, museums, nightlife, parks, and historic sites. Your plan includes some of its best attractions: explore the world behind art at Louvre Museum, contemplate in the serene atmosphere at Basilica du Sacre-Coeur de Montmartre, see the interesting displays at Rodin Museum, and contemplate the long history of Arc de Triomphe. To see maps, traveler tips, where to stay, and more tourist information, go to the Paris itinerary planner. Hyderabad, India to Paris is an approximately 21-hour flight. Due to the time zone difference, you'll gain 4 hours traveling from Hyderabad to Paris. Plan for colder temperatures traveling from Hyderabad in February, with highs in Paris at 9°C and lows at 1°C. Finish up your sightseeing early on the 19th (Sun) so you can travel to Cannes. 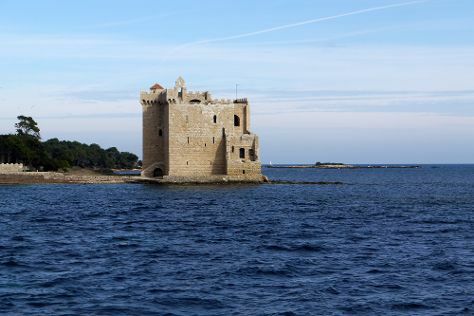 Start off your visit on the 20th (Mon): enjoy the sea views from Garoupe Lighthouse (Phare de la Garoupe) and then step off the mainland to explore Lérins Islands. Here are some ideas for day two: take in the architecture and atmosphere at Eglise Notre Dame d'Esperance, then get a taste of the local shopping with Rue d'Antibes, and then shop like a local with La Croisette. To find other places to visit, where to stay, and other tourist information, go to the Cannes vacation planner. Traveling by flight from Paris to Cannes takes 3.5 hours. Alternatively, you can take a train; or drive. Traveling from Paris in February, expect nights in Cannes to be about the same, around 3°C, while days are a bit warmer, around 15°C. Cap off your sightseeing on the 21st (Tue) early enough to catch the train to Nice. Start off your visit on the 22nd (Wed): take some stellar pictures from Colline du Chateau overlook, then appreciate the extensive heritage of Vieille Ville, then step into the grandiose world of Palais Lascaris, and finally make a trip to Place Massena. Get ready for a full day of sightseeing on the next day: appreciate the extensive heritage of St Paul de Vence, don't miss a visit to Promenade des Anglais, then examine the collection at Musée Marc Chagall, and finally cruise along Tete de Chien. For ratings, photos, reviews, and other tourist information, read our Nice travel itinerary planner. Nice is just a short distance from Cannes. In February, plan for daily highs up to 15°C, and evening lows to 6°C. Finish your sightseeing early on the 23rd (Thu) to allow enough time to drive to Monte-Carlo. 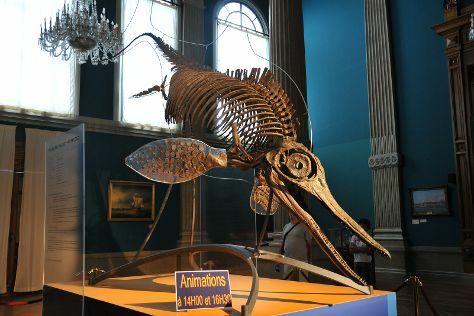 Start off your visit on the 24th (Fri): get to know the fascinating history of Casino Square, then examine the collection at Oceanographic Museum of Monaco, and then try your luck at Casino of Monte-Carlo. For other places to visit, reviews, maps, and more tourist information, go to the Monte-Carlo itinerary planner. Monte-Carlo is just a stone's throw from Nice. In February, plan for daily highs up to 14°C, and evening lows to 6°C. 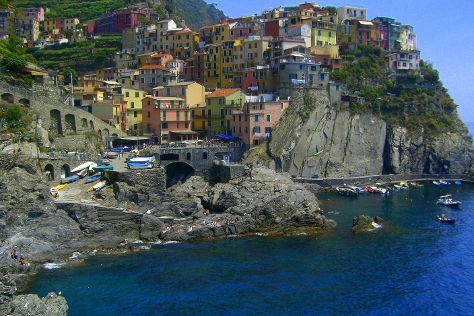 Wrap up your sightseeing on the 25th (Sat) early enough to drive to Cinque Terre. Kick off your visit on the 25th (Sat): explore the striking landscape of Parco Nazionale Cinque Terre. For reviews, ratings, where to stay, and more tourist information, use the Cinque Terre custom trip planner. Drive from Monte-Carlo to Cinque Terre in 3.5 hours. Alternatively, you can take a train; or take a bus. In February, plan for daily highs up to 13°C, and evening lows to 5°C. Finish your sightseeing early on the 26th (Sun) to allow enough time to drive to Milan. Start off your visit on the 26th (Sun): admire the landmark architecture of Galleria Vittorio Emanuele II, then pause for some serene contemplation at Duomo di Milano, then make a trip to Piazza del Duomo, and finally see the interesting displays at Tour delle Merlate - Castello Sforzesco. Get ready for a full day of sightseeing on the 27th (Mon): admire the landmark architecture of San Maurizio al Monastero Maggiore, then explore and take pictures at San Siro, and then contemplate the long history of Il Cenacolo. To see ratings, traveler tips, where to stay, and tourist information, go to the Milan itinerary maker. Drive from Cinque Terre to Milan in 3 hours. Alternatively, you can take a train; or take a bus. Traveling from Cinque Terre in February, expect Milan to be slightly colder, temps between 10°C and 1°C. Wrap up your sightseeing on the 27th (Mon) early enough to take a train to Venice. On the 28th (Tue), snap pictures at Ponte di Rialto, contemplate the waterfront views at Canal Grande, snap pictures at Ponte dei Sospiri, then admire the landmark architecture of Doges' Palace, and finally don't miss a visit to St. Mark's Square. 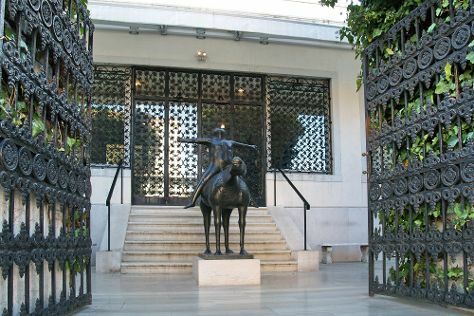 On the next day, explore the world behind art at Peggy Guggenheim Collection, admire the striking features of St Mark's Campanile, then admire the landmark architecture of Basilica di San Marco, and finally take in the spiritual surroundings of Santa Maria dei Miracoli. To find where to stay, ratings, more things to do, and tourist information, refer to the Venice travel itinerary planner. You can take a train from Milan to Venice in 3 hours. Other options are to drive; or take a bus. In February, daily temperatures in Venice can reach 10°C, while at night they dip to 1°C. Wrap up your sightseeing by early afternoon on the 2nd (Thu) to allow enough time to travel to Rome. Kick off your visit on the 2nd (Thu): contemplate in the serene atmosphere at Chiesa di Sant'Ignazio di Loyola. On the 3rd (Fri), you'll have a packed day of sightseeing: explore the ancient world of Palatine Hill, admire the local landmark of Trevi Fountain, take in the spiritual surroundings of Church of St. Louis of the French, then get to know the fascinating history of Piazza Navona, and finally admire the striking features of Pantheon. To find reviews, traveler tips, ratings, and other tourist information, refer to the Rome vacation planner. You can fly from Venice to Rome in 3.5 hours. Other options are to take a train; or drive. When traveling from Venice in March, plan for a bit warmer days and about the same nights in Rome: temperatures range from 19°C by day to 7°C at night. Wrap up your sightseeing by early afternoon on the 5th (Sun) to allow time for travel back home.